Electrical Engineering has many sub-disciplines which are Power engineering, Control Engineering, Telecommunication Engineering, and Computer Engineering etc. The examples of some search engines are Infoseek.com, webcrawler.com, Dogpile.com, HotBot.com, Google.com, Yahoo! Search.com, wikiseek.com, Ask.com, Live Search.com, LeapFish.com etc. The purpose of simulation experiments is to find out the way for solving the system of operations. Assumptions are made about this system and mathematical algorithms and relationships are derived to describe these assumptions - this constitutes a "model" that can explain how the system works. If the system is simple, the model may be represented and solved analytically. 1. In modeling of natural systems or human systems in order to know about their functioning. 2. Simulation of technology for performance optimization, safety engineering, testing, training and education. 3. Simulation can be used to show the real effects of alternative conditions and courses of action. Simulation is an important feature in engineering systems or any system that involves many processes. Simulation enables us to analyze the system’s capabilities, capacities, and behaviors without requiring the construction of or experimentation with the real system. Since it is extremely expensive to experiment with an entire factory to determine its best results, a simulation of the factory can be extremely valuable. There are also systems, like nuclear reactions and warfare, which are too dangerous to carry out for the sake of analysis, but which can be usefully analyzed through simulation. Simulation is used in nearly every engineering, scientific, and technological discipline. Since fifty years, it has been adapted for a wide variety of applications. Today, the techniques are used in the design of new systems, the analysis of existing systems, training for all types of activities, and as a form of interactive entertainment. Simulation is a more accurate tool to explain a dynamic system, as it is an attempt to emulate the reality. It allows users to understand the interrelation between design and performance parameters, to identify existing problem areas, and so implement and test appropriate design modifications. Simulation tools are used in Aerospace, Communication system, Embedded Controls Development, Motors and drivers, Process control, Real time Simulation, Control System Design etc. They are used for many purposes like for designing smaller transistors, layering textures on top of each other, numerical computing, fast visualization, data acquisition, simulation, debugging, process & workflow modeling, simulation & active flowcharting, Scenario Planning (Military Strategy, Management) etc. Learning tools provide the suitable interface between the user and the application which dynamically enable them to create a screen cast, record a sequence of operations in real time, to create dynamic comparison tables, easy integration to social networking tools such as MySpace, Face book, Open Social, and Google gadgets like Picasa and YouTube, creating and running web surveys etc. They are also used for variety of purposes like to fix, speed up, maintain and protect the PC, Automatic card scheduling, learn electronics, optimizing windows XP performance, automatically recording exactly what users see on a computer screen, creating the best sites in the world, security scanning etc. To gather the information about the different search engines and reference sites, this can be helpful to an electrical engineering in enhancing his knowledge and to facilitate his studies by using different simulation and learning tools, by finding them online. To propose to our colleagues, the common methods for finding the simulation and learning tools online. To make users know about the reference sites which they can use for this purpose. To explain the functionality of different simulation and learning tools by giving some important information about these tools. To make the engineers know about the different ways of helping themselves in their research work and in their studies and to become familiar with the applications of several tools. To successfully create a report this can be useful to the Electrical Engineers in their forthcoming researches in the field of Electrical Engineering by using the advanced tools for learning and simulation. The students of engineering can get the idea, how to use the facility of internet to search about the simulation and learning tools they want to make their studies easier than ever. They can come to know about different search engines which can be useful for their searches in the field of electrical engineering. They can be able to use different reference sites to find about the simulation and learning tools for Electrical Engineering, and to download them for practical uses as these tools form the important part of electrical engineering, and may be useful in enhancing the research work in this field. In general the Electrical Engineers can have the direct approach to these tools, which can help them in their research work, projects, studies etc. The basic step towards every search is to connect with the network and then to surf through the search engines. We searched about different search engines which can be useful to our search for how to find the learning and simulation tools for Electrical Engineering. 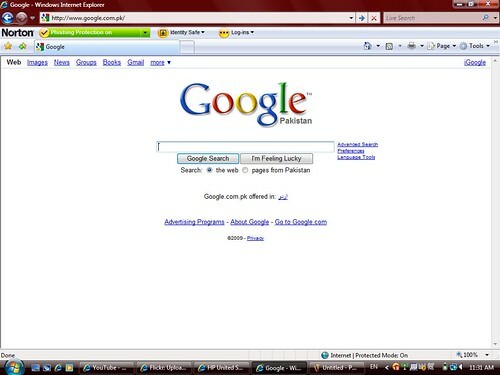 We opened the web browser and wrote www.google.com in the address bar. It is a renowned search engine and contains millions of databases for each article. We got many links to search engines. In order to explore for them, we clicked the link Web search engine - Wikipedia, the free encyclopedia. It is also a search engine to search about the learning and simulation tools. From Wikipedia we got the information about many search engines which were of much use in searching the EE tools. The list of important search engines we got, are Infoseek.com, webcrawler.com, Dogpile.com, HotBot.com, [*http://www.Google.com Google.com, Search.com Yahoo! Search.com, wikiseek.com, Ask.com, Search.com LiveSearch.com, LeapFish.com etc. With the help of these search engines, we searched about the different reference sites helpful for the engineers in searching the required tools either for learning or for simulation. These sites contain not only the information about these tools but also some tools being FOSS or SHAREWARE can be downloaded and used practically. These sites fully explained the functionality of the tools and their uses in different departments of education, especially in Electrical Engineering. Like, we opened the site like itools.com, which is a wonder full source for finding some interesting tools related to simulation or learning. One can write about any tool for simulation or learning, by just typing the required name and kind of that tool. We found about some important learning tools like zaidlearn, twitter, rapidshare, Firefox, Google Reader, Skype, Moodle, Wikipedia, Jing, Dreamweaver, OpenOffice, Thunderbird, Gimp, Adobe reader etc whose applications and services can be availed online. Each tool has its own functionality and prospects with distinct features for every function. All these learning and simulation tools can be searched out with the help of the above mentioned search engines, easily. Some reference sites for downloading these and much more learning and simulation tools are Download3000.com, MyZips.com, Softsia.com, Wareseeker.com, Wondershare.com, wiseGEEK.com, freedownloads.com etc. Thus we found some search engines and some reference sites for finding some types, information, applications and importance of the learning and simulation tools, useful for the electrical engineers. Learning and simulation tools have vast and variety of applications, which embeds the objects from smallest to largest. These tools are of great importance in the life of electrical engineer as they need them frequently for any purpose weather it is research work, study, invention, projects etc. These Tools have great impact on the career of an Electrical engineer and their services can’t be denied. By using simulation tools like XSI and Softimage, we can layer textures on top of each other (much like in Photoshop) which can help in better control over textures positions. Groovy is a simulation engine, the brand new language for the java platform. Java developers new to Groovy find a smooth transition into the dynamic programming world. Groovy experts gain a solid reference that challenges them to explore Groovy deeply and creatively. It is an online simulation tool that helps us saving the live data from damaging. The new nano-simulation tools are for designing smaller transistors. Nanowerk is the premier and most popular source for nanotechnology information. Nanotechnology heaters and thermometers for thermal processing of nanomaterials. Nitrogen-doped carbon nanotube catalyst systems for low-cost fuel cells. Screenflow is a screencasting tool. It is an application for creating amazing screen recordings. Using a unique new screen capture system, it is powerful enough to capture the contents of the entire desktop at the same time as the video camera, microphone and computer's audio. AutoCAD is a CAD (Computer Aided Design) software application for 2D and 3D design and drafting. MapleSim allows us to model at the physical component level. This generates block diagrams that look more like the original physical system. MapleSim generates more concise representations of physical systems and exploits the latest technology to model the demanding multidomain systems that challenge engineers today. A live MapleSim model can be embedded in a Maple worksheet – this allows one to interact with the model using the complete spectrum of functionality within Maple. WebQuests allow us to use the web itself as a research tool. We can work as a group and use the Internet to gather data and information that will assist us in creating a project. Historical and scientific simulations have also appeared on the Internet. Multiple users can collaborate on simulating a complex operation like running the federal government or managing a stock portfolio. Technologies like VRML and Shockwave have added more depth to the simulated experiences on the Internet. TriVis accepts data from meteorological services such as satellite data, statistically corrected forecast data, precipitation data and fronts information. It then analyzes this data and uses fractal functions to create projections of storm systems. Using TriVis to visualize artificial clouds, meteorologists can predict weather with increased accuracy. ISVAS is an interactive software program that is utilized to analyze 3D and voxel data. Using this program, Electrical Engineers can analyze vector or scalar values. Delicious is a free social bookmarking tool. We can store our bookmarks online, tag them and share them with our colleagues and students. From here, it is easy to use to search for other bookmarked resources. It is freeware software. Fire fox is one of the award winning, learning tool that have the versatile features like; Smart location bar: Through smart location bar, we can find the sites we want, instantly just by entering the term matching that word and making sense. Password manager remembers the site passwords without seeing the pop-ups. We can Bookmark, search and organize Web sites quickly and easily. Platform-Native look and feel: With this, browse with a Firefox that’s integrated into our computer’s operating system. This feature enables us to see any part of a Web page, up close and readable, in seconds. Provides the viewing of Web pages faster, using less of the computer’s memory. Google Reader is a free web-based reader for checking favorite news sites and blogs for new content. Google Reader shows all of our favorite sites in one place. It's like a personalized inbox for the entire web. At Google reader, we can find Millions of sites publishing their feeds with their latest updates. With our Google Reader public page, we can share our favorite items with our friends, simply by sending them to relevant links. Google Reader gadgets can be added to iGoogle to see updates at a glance. Skype is a free communications and collaboration tool to be downloaded and installed on the computer. We can use it to have text and voice message conversations with others who have Skype for free. Skype provides free calls, video calls and instant messaging over the internet. Google Docs is a hosted service where we can create, store and share documents, spreadsheets and presentations and online forms we can work on our own or with collaboration. We can also import docs from MS Office and Open Office. It enables us to work collaboratively with others on word processed or spreadsheet documents as well as visual presentations. Microsoft Office PowerPoint 2007 enables us to quickly create high-impact, dynamic presentations, while integrating workflow and ways to easily share information. From the Microsoft Office Fluent user interface to the new graphics and formatting features, Office PowerPoint 2007 puts the control in our hands to create great-looking presentations. Create powerful, dynamic SmartArt diagrams. Create presentations quickly and easily by re-using custom layouts. Dramatically modify shapes, text, and graphics with new tools and effects. Moodle is an open source course management system (CMS). It provides all the high level functionality of an educational CMS and more - and it is freeware. Twitter is for staying in touch and keeping up with friends no matter where we are or what we are doing. We can Invite our friends to Twitter and decide how connected we want us to be. Twitter members can display a widget showing their twitter feed. Wikipedia is the biggest multi-national free content encyclopedia in the world. It has been written collaboratively by volunteers around the world and the vast majority of its articles can be edited by anyone with access to the Internet. It contains millions of data bases and many references to the single topic of or interest. We can search about anything through Wikipedia and can save it for our convenience. It is an accessible and accurate source of information. It can be said as another starting point for web research; from where we can get accurate, up-to-date information on any number of topics. Wikipedia has all the bases covered. Wikispaces is a hosted service that lets us create a wiki for collaborative working. It is free online tool available which can be used by groups to collaborate on projects. Thunderbird is the free email client from Mozilla (the home of Firefox). Thunderbird 2 makes it even easier to organize, secure and customize your mail. Photoshop from Adobe is a photo imaging tool for professional and serious amateur photographers as well as graphic and web designers. It is an efficient tool for the Electrical Engineers. Infoseek.com, webcrawler.com, Dogpile.com, HotBot.com, Google.com, Search.com Yahoo! Search.com, wikiseek.com, Ask.com, Search.com LiveSearch.com, LeapFish.com, musu.com, twitter.com, wikiasearch.com etc. WikipediaAnswers.com, HowStuffWorks.com, Encycolpedia.com,Britannica.com Britannica.com, Infoplease.com, Everything2.com, Encyclopedia (6 Edition).com ColumbiaEncyclopedia (6 Edition).com, Encyclopedia.com, wiseGEEK.com, iTools.com, Citizendium.com, Hound.com Knowledge Hound.com, Shvoong.com etc.